Valentine’s Day has come and gone—and it was retailers who were feeling the love this year. According to the National Retail Federation (NRF), early sales projections leading into the holiday were estimated to reach a near record of $19.6 billion, an increase from $18.2 billion last year. U.S. consumers individually were expected to spend an average of $144 on Valentine’s Day, also up from last year’s $136.57. The NRF reports these retail numbers are the second-highest in its survey’s 15-year history. 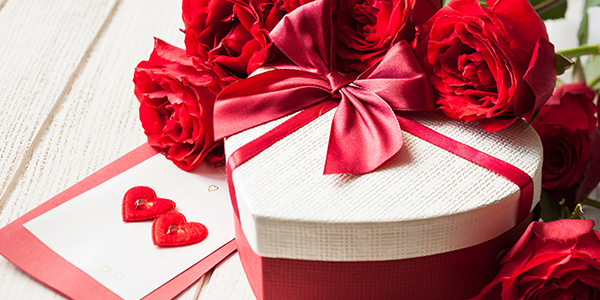 Additionally, the majority of Valentine’s Day retail sales were expected to be made in a physical store, including department stores, discount stores, specialty stores, florists, or local small businesses. This healthy holiday spending is reflective of the upwards trend across the U.S. over the past year. The 2017 official Holiday Season (November & December) rounded out with total retail sales estimated to be more than $690 billion, a whopping 5.5% aggregate increase over 2016, indicating the strongest holiday season growth rates since 2010. Shoppers spent an average of $842 on gifts and holiday-related items versus $714 in 2016. Furthermore, 85% of total sales were by retailers with a physical presence. These statistics confirm and reiterate that the retail real estate industry is thriving, and the rise of ecommerce hasn’t changed that. Yes, we’ve read the bloated headlines about “the retail apocalypse,” “the death of shopping centers,” and “the Amazon effect on retail” but the real story is that ecommerce sales account for less than 12% of total retail sales. It is also estimated that over half of those online sales actually go to brick-and-mortar retailers. Even though ecommerce sales are growing considerably, online giants such as Amazon still only account for a small percentage of the overall market. As we saw this past Valentine’s Day and during the 2017 Holiday Season, consumers prefer to shop in-store. In fact, 90% of holiday shoppers made purchases from retailers with a physical presence. In the retail game, successful stores are actually using ecommerce to their benefit, giving consumers more options and convenience to make their purchases. Omnichannel buying options, like click-and-collect and click-and-ship, are enhancing the brick-and-mortar shopping experience and boosting sales at physical stores. To add even more sentiment to your post-Valentine’s Day heart: In the past year, we saw more retail store openings than closures and store openings are expected to outpace closures over the next 5 years (according to Zebra Technologies-IHL Group study). In 2017, the retail market had 4,080 net store openings. And… To put the icing on the heart-shaped cupcake, retail sales are expected to continue to increase for the next several years. Many experts forecast that overall retail sales will rise between 3.8% and 4.4% in 2018 over last year. That certainly warms my heart. On track with the rest of county, the retail landscape here in the Gulf South region is solid. Occupancy rates in our centers remain high. Retailers are reporting strong foot traffic and higher-than-anticipated sales numbers—especially those who are learning to adapt to consumer demands and offering unique shopping experiences. We are also attracting and welcoming many new-to-market stores and restaurants. So, on Valentine’s Day, today, and every day, let’s remember to advocate for and show a little love to our brick-and-mortar retail friends.